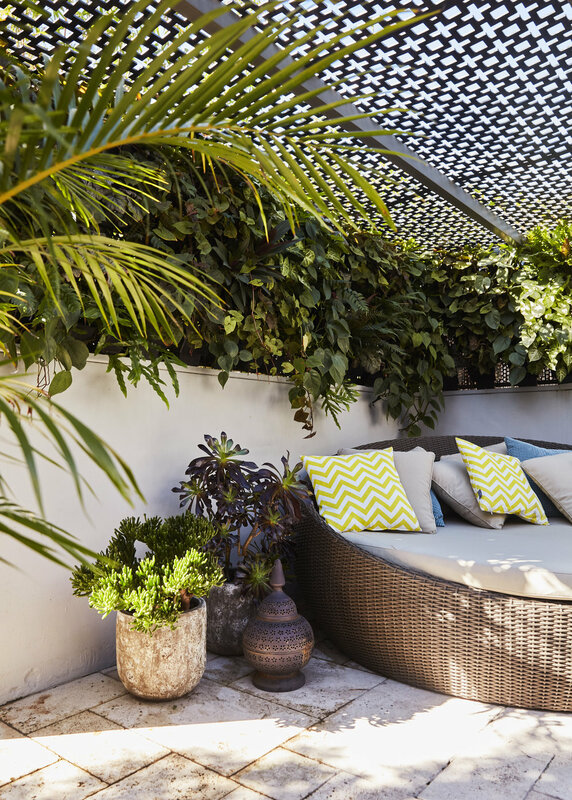 Our clients of this Alexandria courtyard approached us to help create a tropical oasis landscape in the middle of the city. Our brief was to fill the courtyard with lush plants in feature pots, creating an overall 'Balinese' feel. The courtyard was given a fresh coat of paint and the timber decking sanded and re-stained to prolong its longevity. Plants and pots selected help to create the 'Balinese' look. The texture of the feature pots contrasts the planting perfectly, while also providing a connection between the existing hard surfaces within the courtyard. The real focal point of this courtyard was the living wall within the 'chill out' zone. 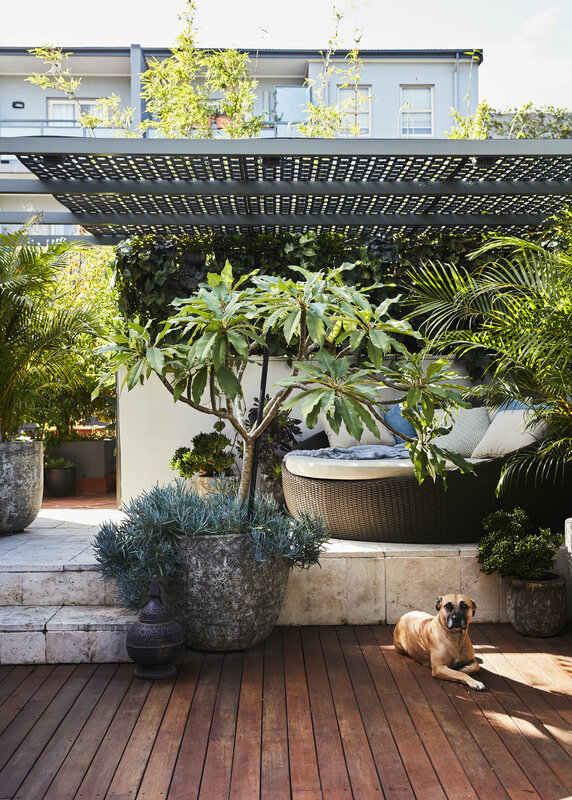 A decorative shade solution was provided to allow shade loving plants to grow and thrive, while creating interesting shadows throughout the day. Irrigation was installed to provide adequate water, rounding out this landscaping project. Ongoing periodic maintenance is provided to this courtyard garden.